From Pilates Mat Classes to Booty Barre and Studio Sessions, we have fitness covered for you and your baby. Sway Bar Pilates offeres a series of low impact exercise classes that are safe for you and your baby. Our classes accomodate the changes in your growing body. They are designed to challenge and strenghten your muscles without putting any undue strain on your joints. During pregnancy Pilates and Barre classes assist you in maintaining strong pelvic floor muscles. 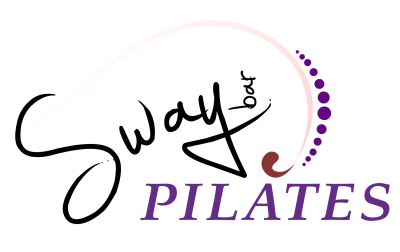 Pilates and barre clients are excited to experience reduced pain during pregnancy, easier births and much quicker postnatal recoveries. Try one of our Pilates Mat or Pilates Stretch classes for Pregnancy. Focus on pelvic floor muscles, glute and leg strength in addition to some strong arm exercises. "With Sway Bar's Pilates and Barre classes, there is no better way to safely look after your body during and after pregancy." If group classes are not your thing, then studio reformer classes offer a more personalised approach to your fitness. You will work either one on one or in a group of no more than three per class where each and every exercise will be adapted to suit your body. Resistance equipment including pilates reformer, chair, stretching ladders, fit balls and much much more are all used to flex, strenthen and tone your body from head to toe. Studio Pilates is an excellent exercise regime during your entire pregnancy. And these classes will assit in rapidly returning your body to its post baby shape. With the majority of this class standing at the barre, you will tone your arms, legs and bootie to perfection in this high energy class. Move to the beat of the music and enjoy a changing repetoire of exercises as your body grows. Booty Barre remains one of the most effective forms of pre and postnatal exercise.